I started with a lot of different fabrics. I choose ones that looked like denim to match with a pure white fabric because I liked that color scheme. I then cut them into small squares and punctured a hole through it with an embroidery needle. I then hooked it onto an earring hook. I placed 3 pieces of fabric on the earrings before closing it up and then the earring is completed. 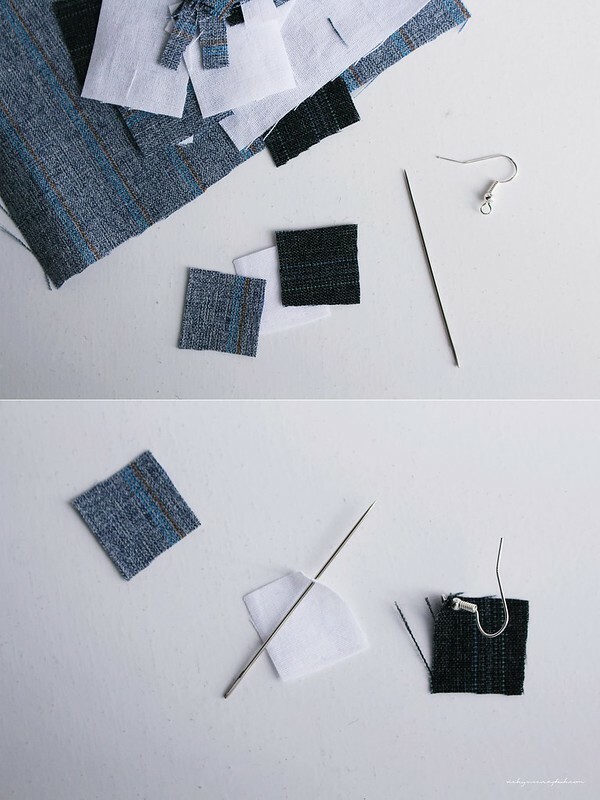 I repeated the steps to create another earring but with the fabrics in a different order. 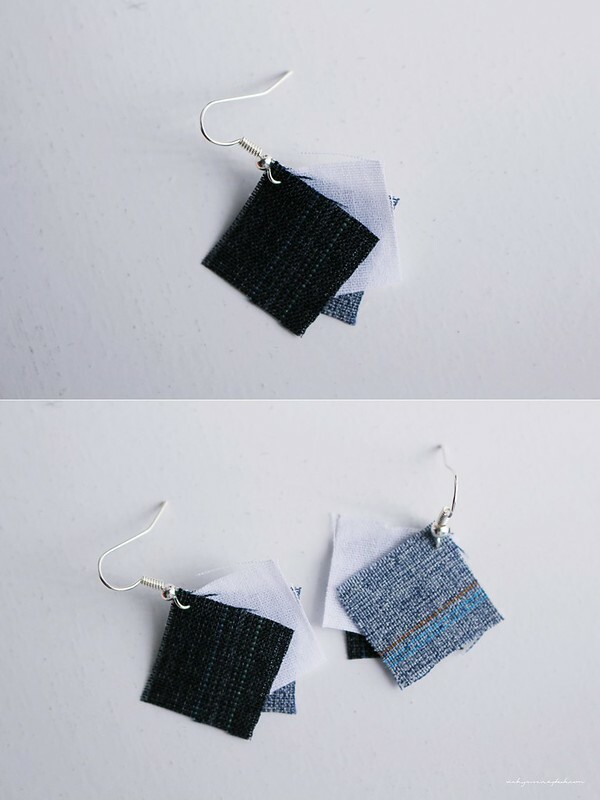 I haven’t tried wearing this denim-like earring yet but it looks like it could be a simple statement piece. Denim pieces are everywhere nowadays. What are your go to denim outfits/accessories? Oooh this is so creative 😀 Hahaha it’d look great with a plain white button up actually ❤ You always make such interesting jewelry! These are actually a pretty great idea, lol. I love denim.